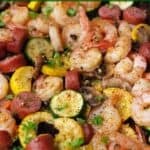 A tasty twist on the traditional Shrimp Boil, this Low Carb Sheet Pan Cajun Shrimp Boil With Sausage & Veggies is for sure a crowd pleaser. 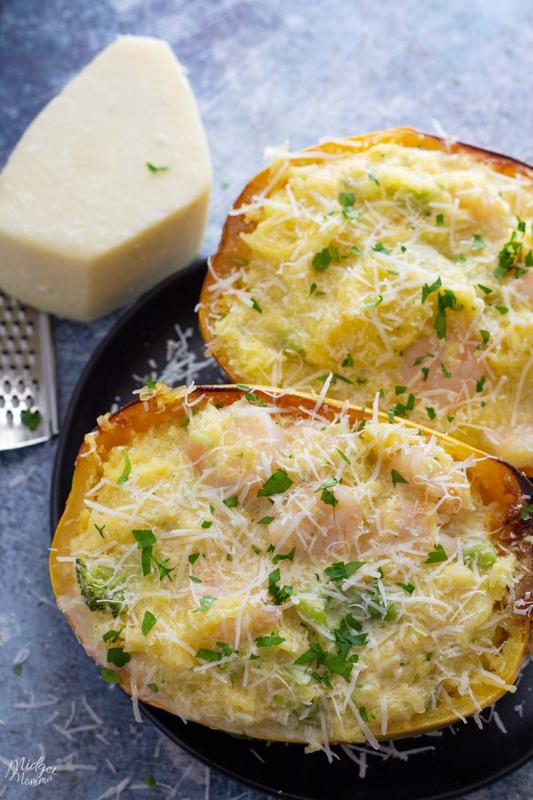 A simple dinner recipe that you can have done in under 25 minutes! I currently live in the heart and soul of cajun country, Louisiana. The BIG flavor here in Louisiana is cajun. I mean cajun ANYTHING! And It is a MUST to use Slap Your Mama Cajun seasoning. After spending a few years living here, my family lovesSlap Your Mama Cajun seasoning so much they want it on everything from their eggs to mac and cheese! I am sure once you try Slap Your Mama Cajun seasoning it is going to be a staple in your pantry too! If you are wanting a spicier cajun flavor then be sure to use the Slap Your Mama Cajun seasoning “HOT”. What is a Shrimp Boil? A seafood boil is a social events in which a seafood is the central element, they are similar to a fish fry, barbecue, or potluck. 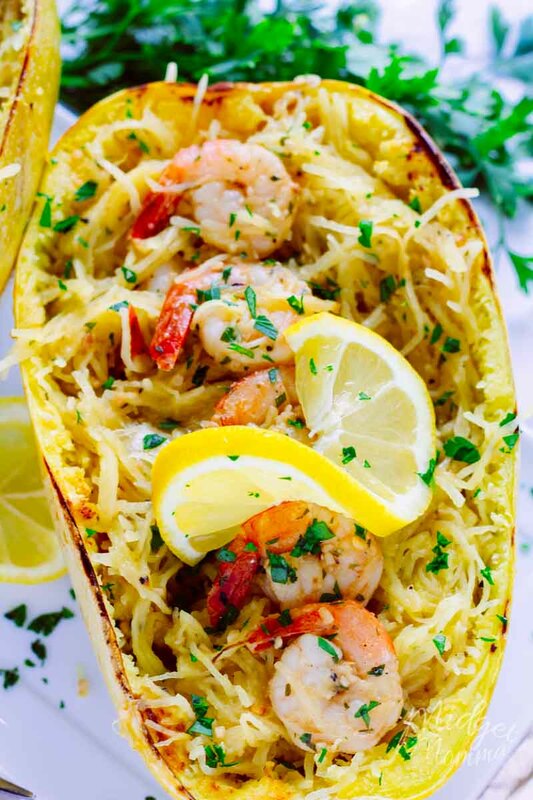 At these events people bring amazing food dishes to share with everyone attending. One recipe that is big at an event like this in the south is a shrimp boil recipe. The tradition of a seafood boil stems from a Louisiana Cajun tradition of community crawfish boils where people got together, ate good food enjoying each others company. Depending on where you live (or are visiting) will tend to dictate the type of shellfish used in the seafood boil for example, shrimp is common in the lower Gulf and crab in Chesapeake area. Normally when you make a shrimp or seafood boil, there is boiling water involved.You toss all of your meats and veggies into a pot of water and boil them until they are cooked. The boil is usually done in a large pot (ok a HUGE pot lol 60 to 80 quarts) and makes a large amount of food at one time. But that takes a bunch of work, along with a bunch of dishes and it is going to make way more food then we need for a family dinner. So we find ways to make the amazing meals like shrimp boil, easier! 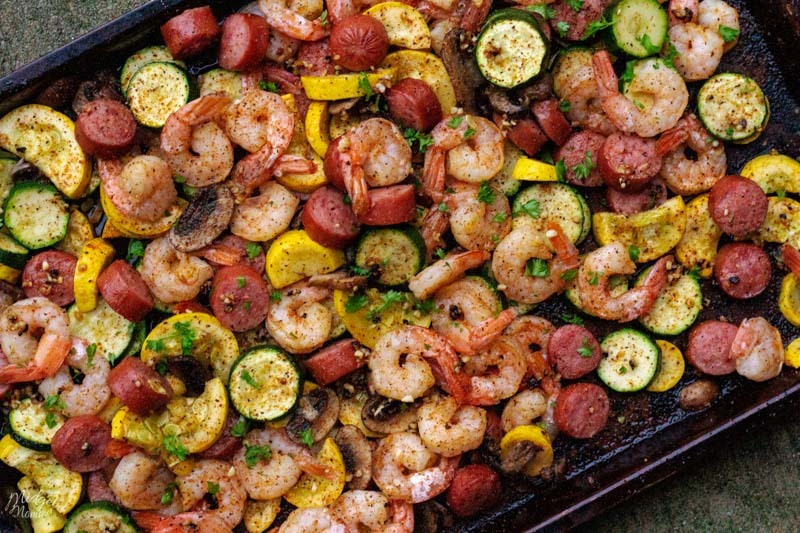 So this Shrimp Boil that is baked in the oven on just one pan but gives you all the amazing flavors! Depending your flavor preferences depends on the veggies you are going to use. Traditionally ears of corn, red potatoes, onions, and heads of garlic are tossed into the pot with the seafood that is cooking. Since I am focused on getting my house eating more healthy meals that also keep with my low carb way of eating I changed out the traditional veggies for a shrimp boil and used zucchini and yellow squash. 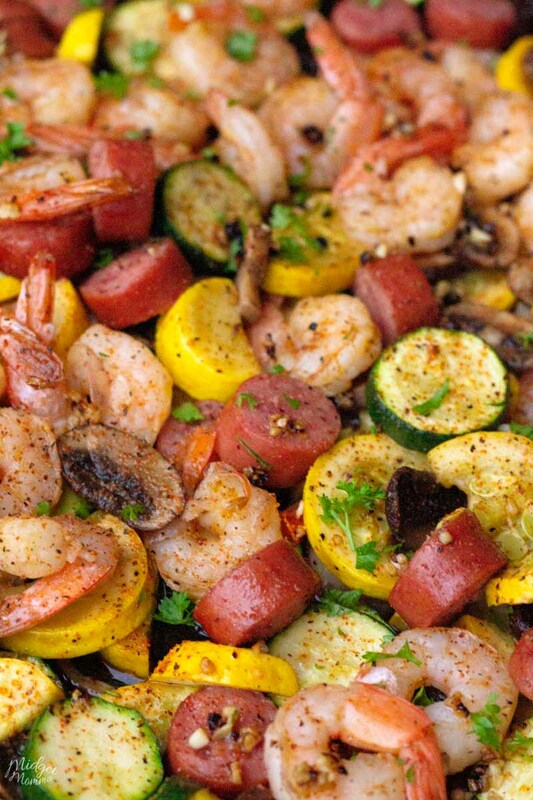 Now that we have that all explained, the best thing to do is just get to the recipe for this amazing Sheet Pan Cajun Shrimp Boil With Sausage & Veggies Recipe! 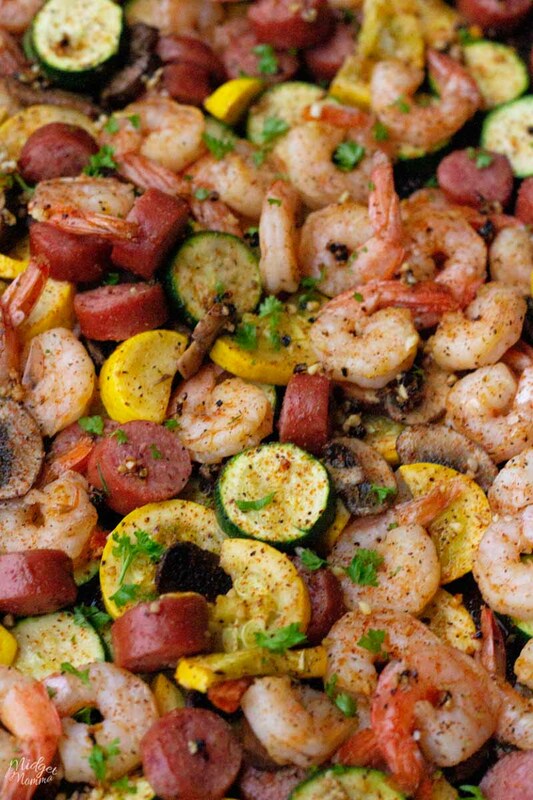 A tasty twist on the traditional Shrimp Boil, this Low Carb Sheet Pan Cajun Shrimp Boil With Sausage & Veggies is for sure a crowd pleaser. If you need to peel your shrimp or devein them do it first. Then put your shrimp on the pan. 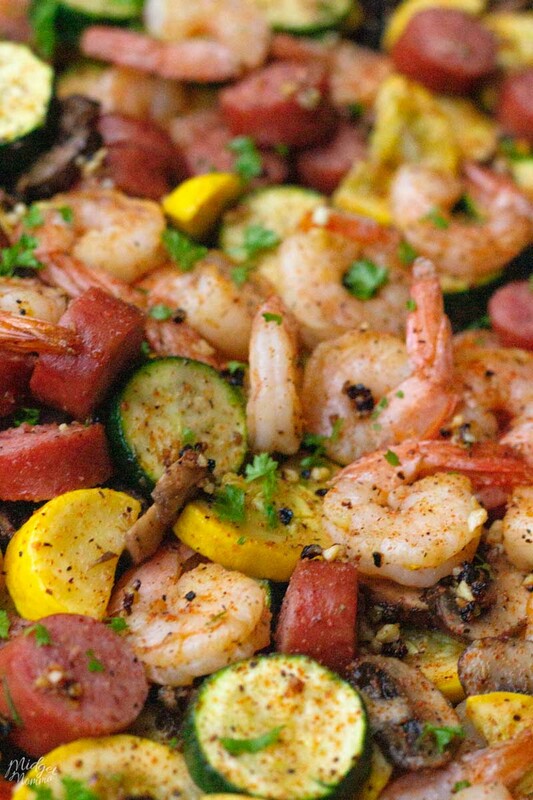 Add sausage, zucchini, squash, cajun seasoning, salt, and pepper to the shrimp and then mix well. Drizzle the mixture with oil and toss until well coated. 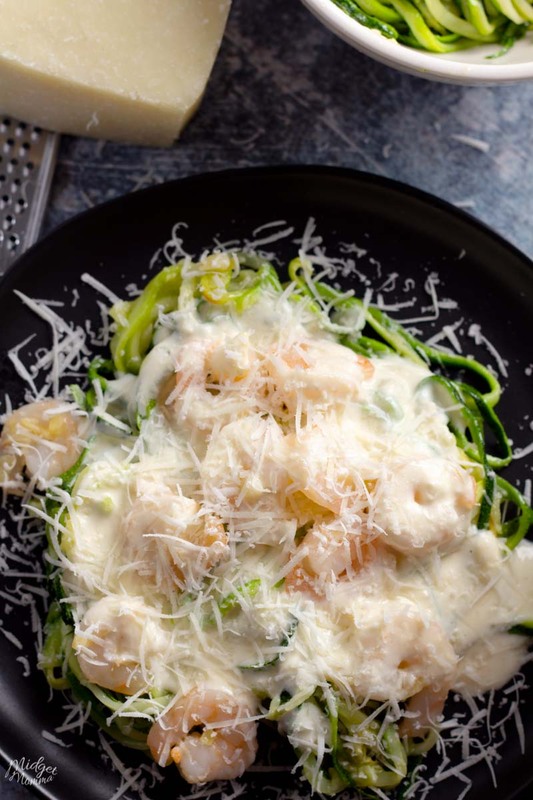 Bake for 15 minutes until the shrimp are opaque and the veggies are slightly softened.